This week marks the start of GLL’s new 3 year partnership with STA, and GLL College has organised an exciting programme of training and engagement at the Crystal Palace National Sports Centre that will officially kick-start the new nationwide swimming teaching training programme. The first set of GLL teachers are being trained on an STA Level 2 Award in Swimming Teaching training course, taken by GLL’s lead tutor and STA tutor, Andrew Taylor. The week-long course includes specific GLL elements so candidates leave the course ready to work. A dedicated recruitment day was also held to engage existing STA tutors and introduce them to the new GLL/STA programme. 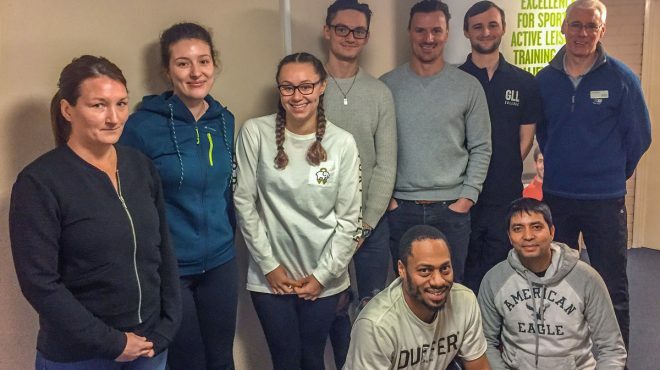 During the latter part of the week, STA’s Head of Aquatics, Kaylë Burgham, is also delivering conversion training for GLL’s existing swimming tutors. The recruitment day and tutor conversion training form a key part of GLL’s plans to embed STA’s level 2 swimming teaching qualifications into their 141 swimming pools nationwide. Dave Candler, STA’s CEO, said: After months of planning, it’s exciting to see the first stage of our partnership underway this week. We are also thrilled that GLL have invited existing STA tutors to join the programme and help progress the conversion process in specific areas across the country. GLL and STA first announced their 3-year partnership at the iconic London Aquatics Centre in October. It is a partnership that will see the charitable social enterprise – and now the UK’s largest operator of swimming pools, transform the way it delivers swimming teaching qualifications nationally. The programme has been designed to enhance training opportunities and provide a progressive new aquatics career pathway for GLL’s existing swimming teachers. Andrew Clark, GLL’s National Sport & Aquatics Manager said: We have evolved the learn to swim sector enormously in the past 10 years with over 200,000 pupils learning to swim each week and this partnership will allow us to revolutionise the way its workforce is trained. By creating our own national training framework that is powered by STA’s swimming teaching qualifications, we are able to open up new career pathways and grow a quality workforce that is work ready; thus ensuring staffing demands are met. 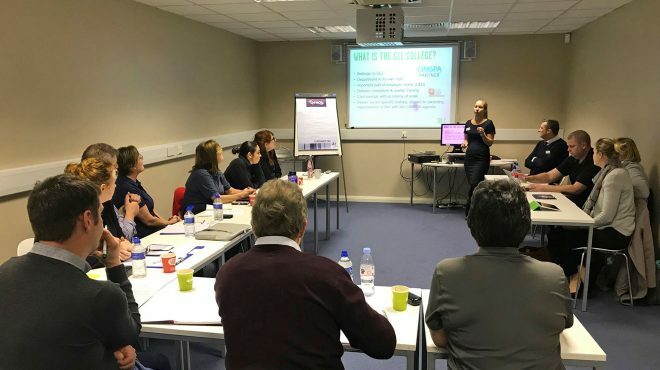 As a social enterprise that works in local communities, the move also supports our ambition of providing affordable, accessible and exemplar training and employment opportunities for local people. This week marks the start of an exciting journey with STA. Mac Cleves, Head of GLL College, concurs: This partnership has been designed to revolutionise and support the GLL College agenda. The activities we have planned this week lay the foundations for us to be able to widen the opportunity for GLL staff to achieve more qualification and CPD, and increase our internal delivery team as part of our aim to become more self-sufficient. We are also delighted to be delivering our first STA swimming teaching course at Crystal Palace; the first step towards supporting our offer of providing employment opportunities and career pathways to our wider communities through our growing commercial offer. These are significant times, and we are proud to support a programme that is set to positively change how GLL and GLL College deliver swimming teaching qualifications, added Dave Candler of STA. GLL will also be running further STA Award courses later this month at the London Aquatics Centre on 23rd January. For further information on courses please visit the GLL College website.